Kromerí stands on the site of an earlier ford across the River Morava, at the foot of the Chriby mountain range which dominates the central part of Moravia. 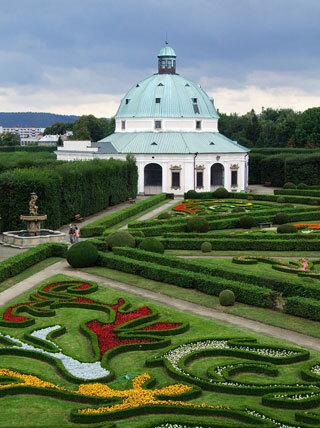 The gardens and castle of Kromerí are an exceptionally complete and well-preserved example of a European Baroque princely residence and its gardens. This article uses material from UNESCO World Heritage List article "Gardens and Castle at Kromeríz", which is released under the Creative Commons Attribution-Share-Alike 3.0 IGO License.